We offer a full year round soccer program for ages between 3 to 18. 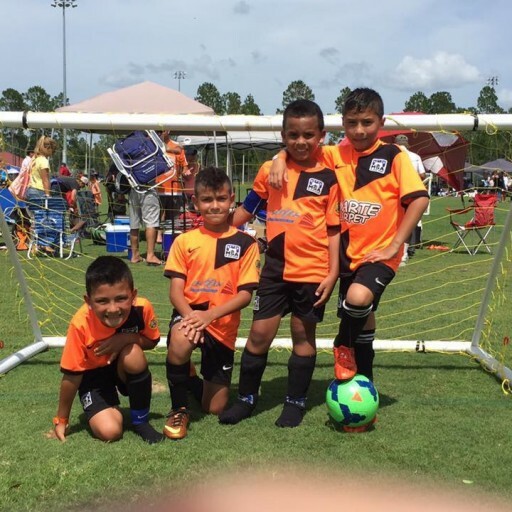 The Lake Nona Soccer Academy has a great opportunity for children between the ages of 3 – 13, to have fun and learn the sport of soccer. 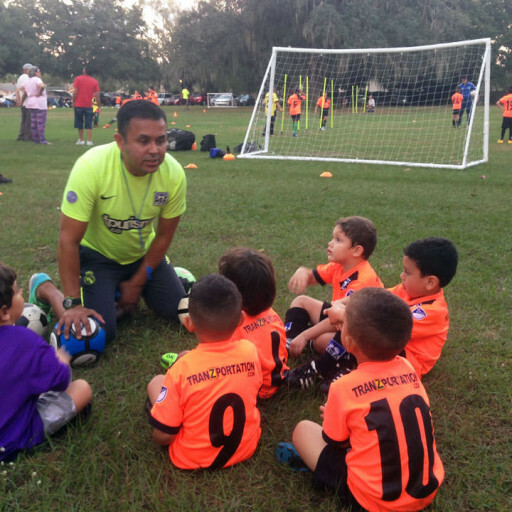 Not only children and young adults can practice soccer but they will have an opportunity to be part of the inter-schools soccer tournaments near Lake Nona, Orlando Hunters Creek and Kissimmee areas. 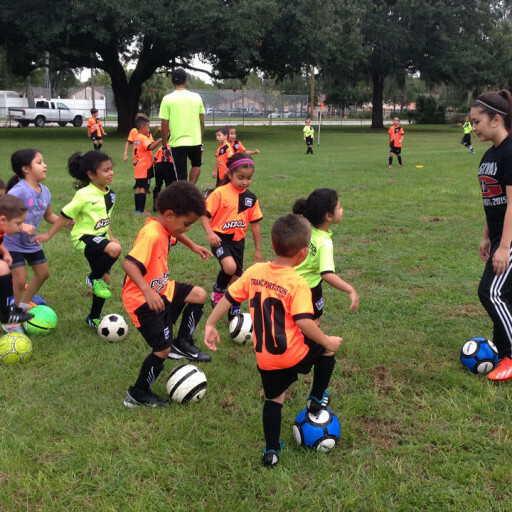 Our kids soccer program in Lake Nona focuses in child development. Our goal is to help children (soccer players) mature on all soccer levels. Our Lake Nona soccer program focuses on helping players build a strong physical, emotional and intellectual skills that will help them be successful on and off the soccer field. Currently, we are working with Elementary Schools, Middle Schools and High Schools in Orlando Hunters Creek, Lake Nona, Kissimmee and close to St. Cloud. We are looking to reach out to other nearby schools to bring this exciting after school program to as many communities as we can. Come and be part of one of the best soccer clubs in Lake Nona. 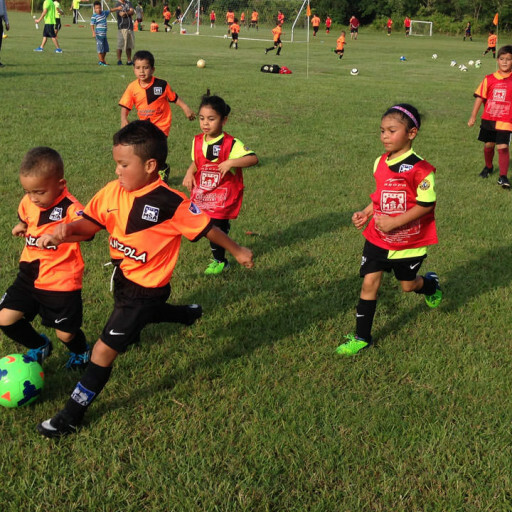 Take advantage of our FREE Soccer Try-Out. Having the opportunity to see what we do and how we do it before registration. Click here to get it. As an Orlando City Soccer and Orlando Pride fan and supporter, we take pride on getting invited by the club to participate at their soccer events where our children can go inside the field and experience what professional soccer is all about, plus they get motivated to keep on moving forward. For more information regarding the soccer program in LakeNona, please get in contact with us. One of our customer service representatives will help you with all your inquiries regarding our Lake Nona soccer program. Thank you! Don't practice until you get it right. Practice until you can't get it wrong! We offer a wide range of innovative, state-of-the-art programs that meet the interests and playing abilities of all players and teams. Find out what the other team wants to do.Then take it away from them. The key to winning is poise under stress. I want to build a team that’s invincible,so that they have to send a team from bloody Mars to beat us. The more difficult the victory,the greater the happiness in winning. It is not the strong one that wins,the one that wins is strong.